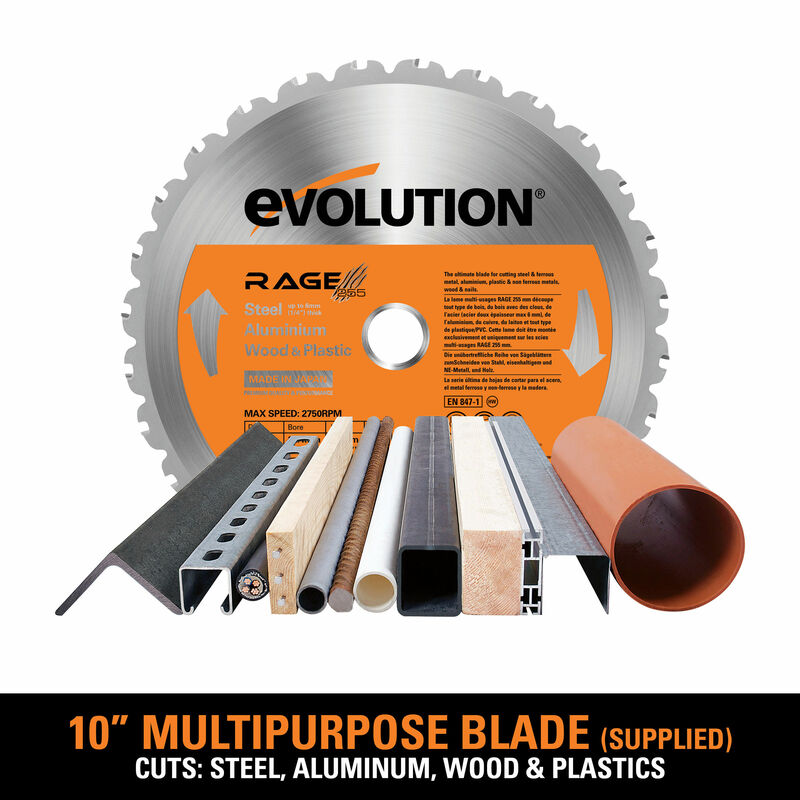 Max Depth Cut (90° Bevel): 3-1/8"
Max Depth Cut (45° Bevel): 1-9/16"
Max Width Cut (90° Mitre): 12-5/8"
Max Width Cut (45° Mitre): 8-7/8"
Product Dimensions (HxWxL): 23-5/8" x 20" x 30-3/4"
Packaging Dimensions (HxWxL): 21-5/8" x 22-11/16" x 30-1/2"
Utilising patented Evolution multipurpose cutting technology.The RAGE 3-DB double bevel multipurpose sliding mitre saweasily cuts steel, aluminium, wood (even wood with embedded nails) and plastic, using just one blade.Features a hi-torque gearbox, which reduces motor stresses, improving performance and durability, out performing regular saws. 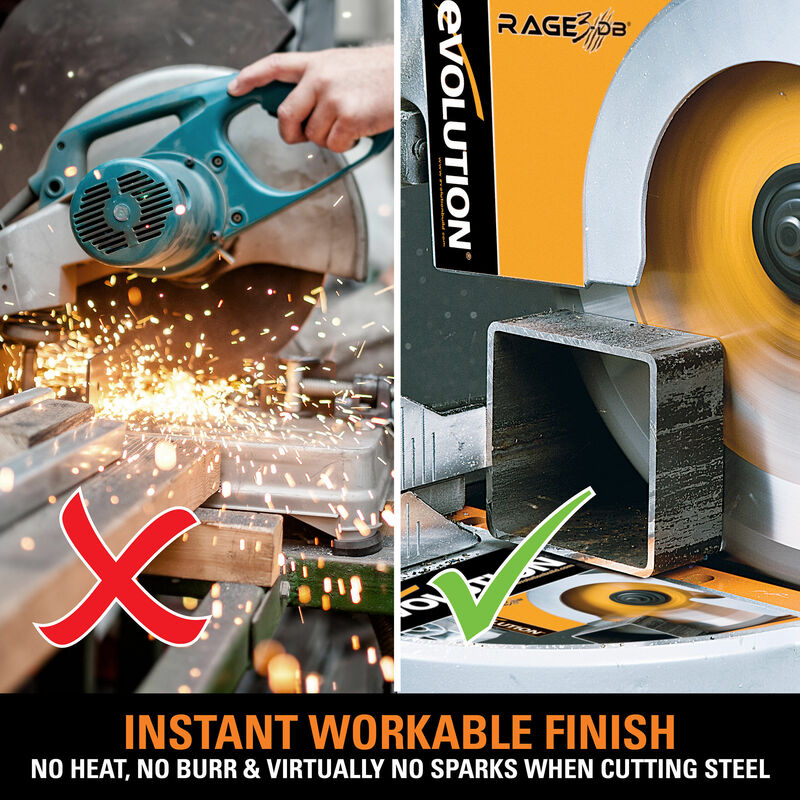 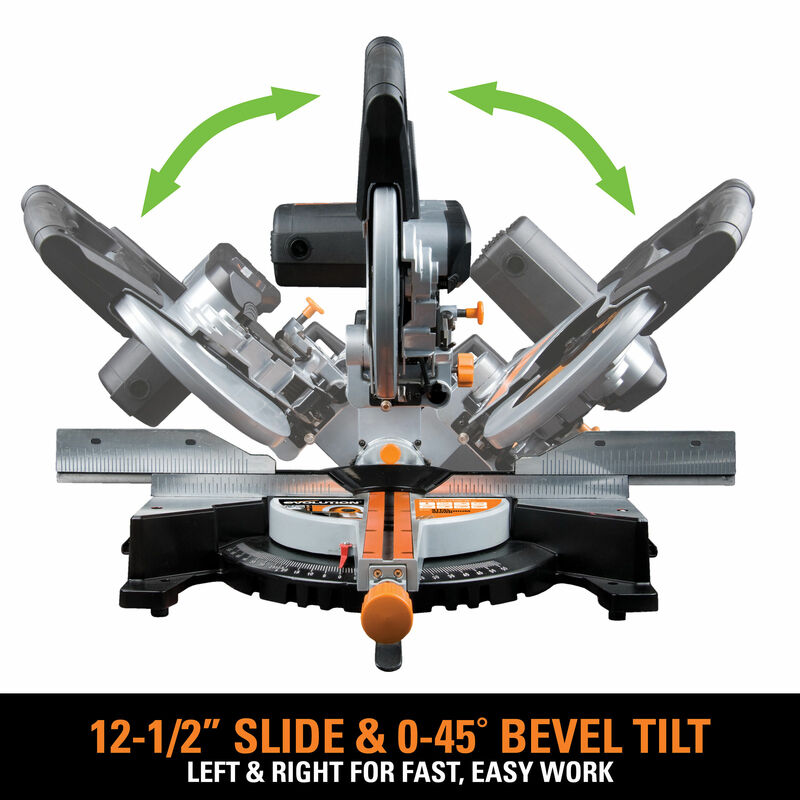 When cutting steel, it leaves an instantly workable finish, producing no heat, no burr and virtually no sparks, unlike alternative methods.Large 320mm slide mechanism, for long angled cuts, offers a solution to almost all common applications.Double bevel facility reduces need to re-adjust workpiece. 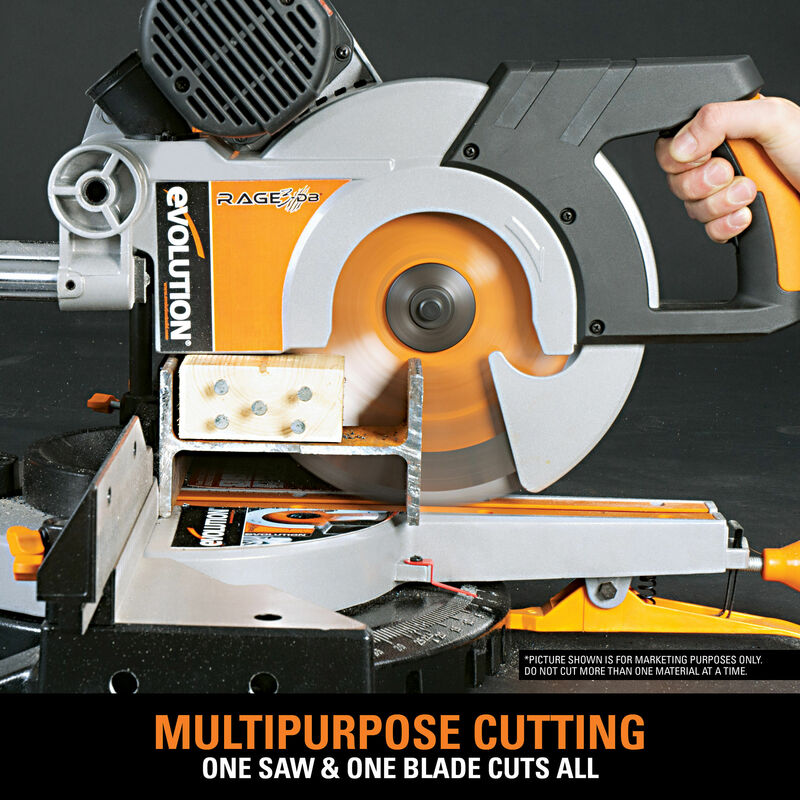 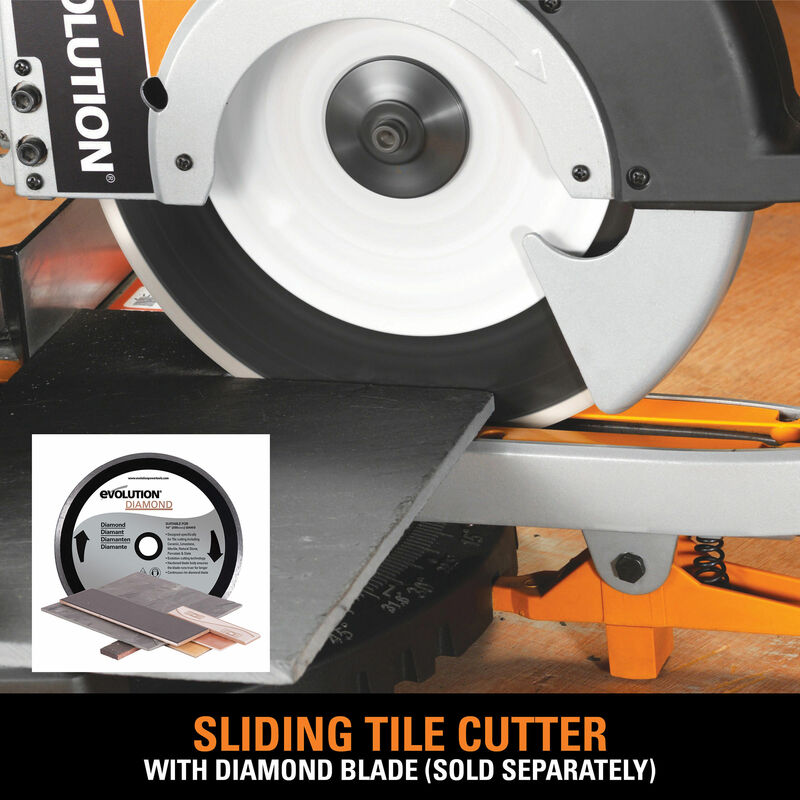 Other features include a robust outer casing which enhances durability on even the most demanding metallic applications, and laser guidance for optimum accuracy.Evolution's 255mm diamond blade transforms the Rage 3-DB into a sliding tile cutter,ideal for roof tiles. 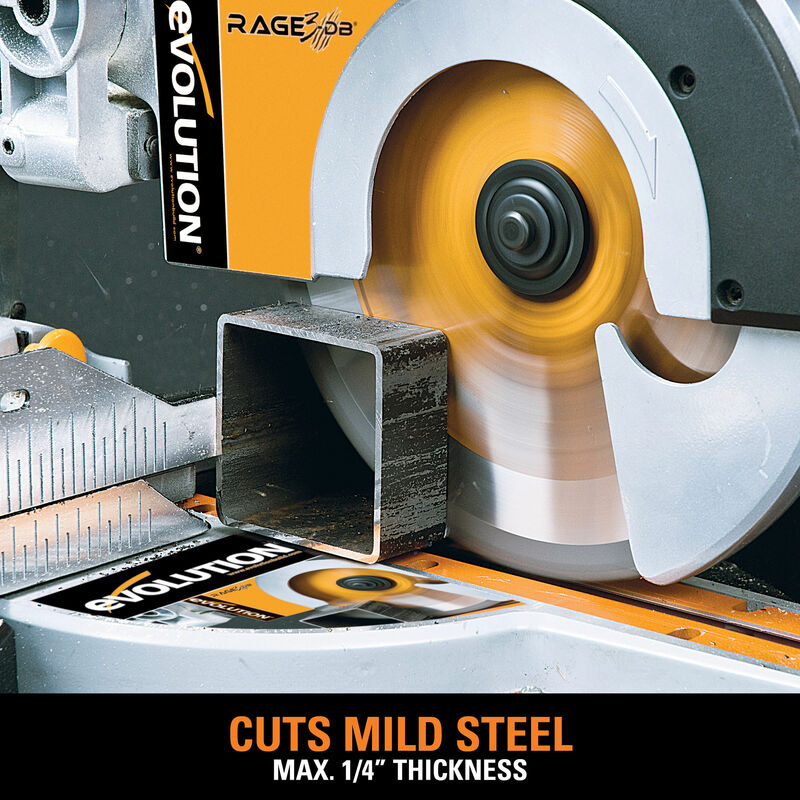 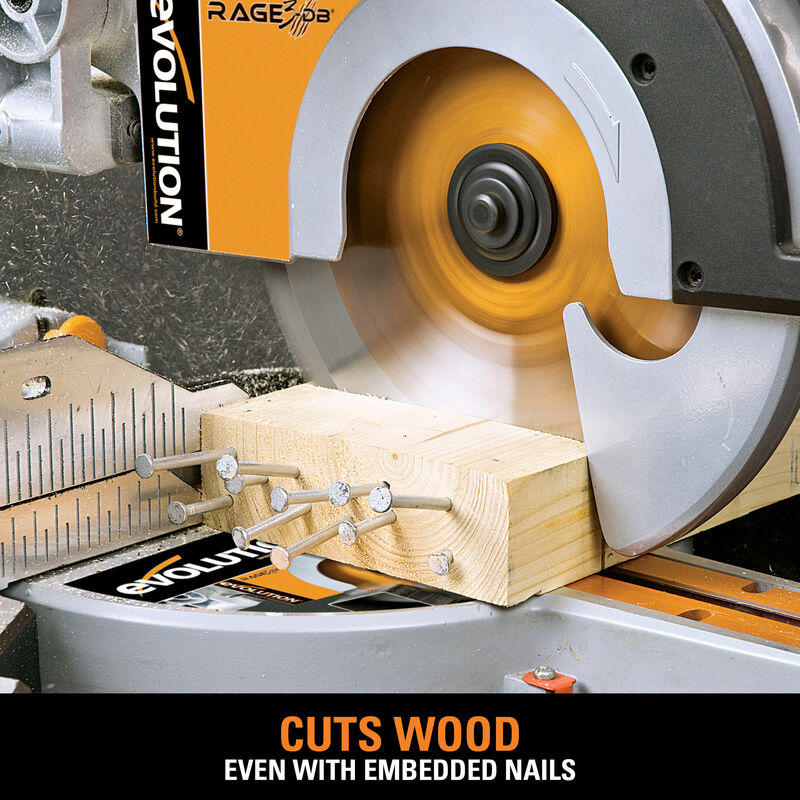 The RAGE 3-DBis supplied with a R255-TCTmultipurpose blade (28 teeth), with a 255 mm blade diameter and 25.4 mm bore diameter.